Grab your six shooters and your ten gallon, 'cause the TV Museum's finally tackling a Western! We take a look at one of the 28 (yes, really!) 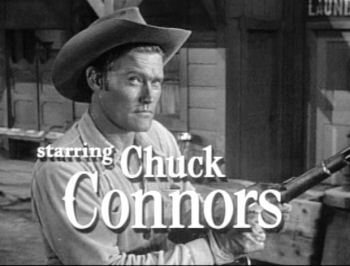 primetime shows set in the Old West that aired in 1958: The Rifleman. "Taxi" Remake to be Titled "Uber"
CBS-TV has closed a deal with Uber that will put Tony Danza back in the role of boxer/cabbie Tony Banta, the character he brought to life on celebrated sitcom Taxi--but with a new economy twist.